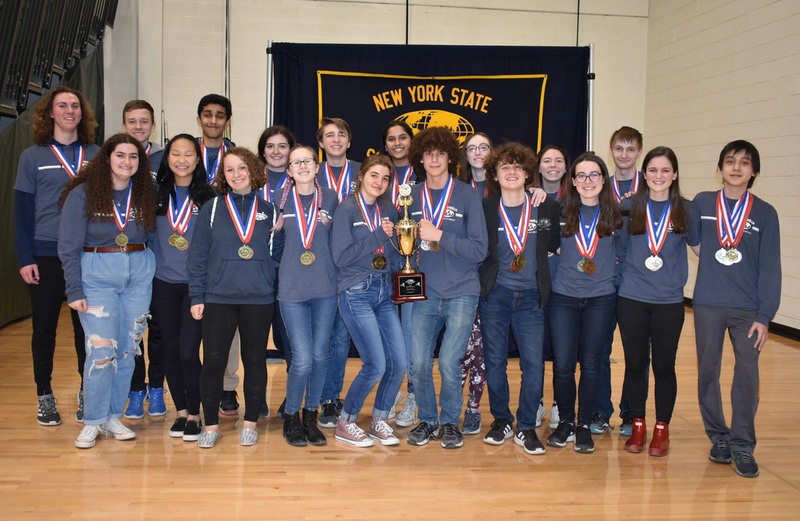 Columbia’s Science Olympiad team earned the title of New York State Champions at the New York State Finals held at Le Moyne College this past weekend, earning a sixth consecutive trip to the National Championships. Of the almost 680 Science Olympiad teams in New York, only the top 56 earn the privilege to advance to the state finals. Columbia had an incredibly successful day – earning a medal in each of the 23 events – including four State Champions, six Silver medalists and two Bronze medalists. There were an additional 11 finishes in the Top-10. Science Olympiad challenges students in STEM-based events in various subjects, such as astronomy, biology, chemistry and engineering. 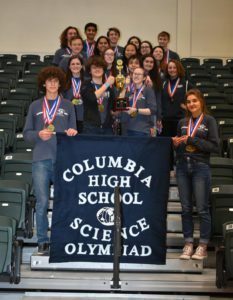 Columbia’s team broke a long-standing record by winning the event with the Best Overall Team Score ever recorded in New York Science Olympiad’s 34-year history. Columbia will represent New York as State Champions at the National Finals to be held at Cornell University in June. Good Luck to our State Champions!